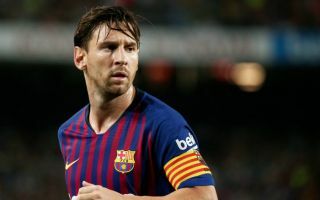 Barcelona star Lionel Messi is reportedly hugely unconvinced by defender Clement Lenglet, who has struggled since his summer transfer window move from Sevilla. The Frenchman looked a decent prospect at his former club but has not recaptured that form at the Nou Camp, with the defence looking all over the place in a shock 4-3 home defeat to Real Betis at the weekend. This could now be Lenglet’s last chance for Barcelona, with Don Balon reporting that Messi does not see Lenglet as the player capable of partnering Gerard Pique in defence. The report suggests Samuel Umtiti’s return from injury, when it happens, could be the decisive blow for Lenglet, blocking him from a return to the side any time soon. It may be that Lenglet simply needs time to settle, but a big club like Barca demands instant results and top quality performances from all its players. The result against Betis is a big wake-up call for this season as the team may lead La Liga, but continues to look a long way off good enough to challenge for the Champions League and relive its former glories.